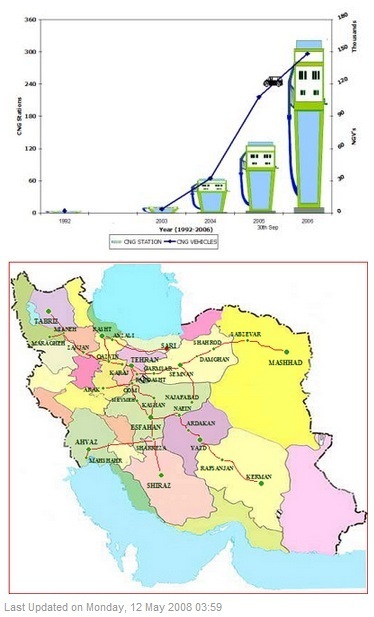 Based on the 121st article of the third national program of economical, social and cultural development of the country, the Iranian Fuel Conservation Organization (IFCO), a subsidiary of National Iranian Oil Company (NIOC), was established in 2000, aiming to manage the fuel consumption in different sectors through the review and survey of consumption trends and executing conservation projects nationwide. Establishing compressed natural gas (CNG) infrastructure and the promotion of natural gas vehicles (NGV’s) are among the main missions of IFCO. CNG projects were started in 1975 with the conversion of 1200 taxis and private passenger cars in Shiraz city as a pilot project. – Retrofit conversion as a short term method for existing cars. – OEM production of bi- fuel vehicles as a medium term measure. – Construction of CNG fueling stations. The following outlines some of the main measures taken relating to infrastructure development. CNG stations: Existing large natural gas resources and pipeline networks that cover more than 560 cities and 3226 villages form the basis for the location of CNG stations in the country. Public relations: Safety aspects and the promotion of natural gas vehicles have been addressed through many educational films produced and broadcast on TV and radio channels. Brochures including safety requirements for use natural gas as vehicles fuel, specification of natural gas, etc, have also been issued. In several national and international fairs, IFCO has also raised awareness about natural gas vehicles. Regulations and standards: International standards (ISO Standards), European Regulations and standards of countries with historical background on CNG such as Italy, Argentina and New Zealand have been used for different activities related to CNG in both vehicles (light and heavy duty) and refueling stations since the beginning of the project in Iran. Also some important regulations regarding NGV’s and CNG refueling stations have been issued by IFCO. After a short interval the national standards based on ISO standards were issued for CNG vehicles and their components (ISIRI 5636 and ISIRI 5764), and at present the country is switching CNG vehicle components standards from ISO standards to European regulation R110 and first edition of national NGV’s standards (ISIRI 7598) has been recently published based on R110 regulation. A national standard of CNG stations was published in 2005 with code no. ISIRI 7829 based on the Argentina (GE-N1-118), United States (NFPA 52), and New Zealand (NZS 5425 Part 2) standards and considering Iran’s climate and geographical circumstances. Supporting related research: IFCO supports a number of research projects related to CNG engine performance (dedicated, Bi-fuel, Dual-fuel engines), fuel conservation projects, natural gas vehicle durability, emissions and other associated topics such as the identification of natural gas treatment as a vehicle fuel, gas composition effects on engine performance, etc. CNG based engines and native NGVs have been developed by country research centers and car manufacturers. Localization of CNG components and equipment production: Transferring technology from abroad and the localization of CNG kit components, cylinders and CNG stations equipments are some of the strategies of IFCO. Construction of a CNG cylinder production factory with a nominal capacity of 120 thousands cylinders per year in different dimensions has been completed and now supplies a portion of the country’s requirements according to present international standards. Another CNG cylinder production factory is under construction in Esfahan with more than 200 thousands cylinders per year. Other CNG cylinder production factories are also being planned. Local compressor manufacturing companies are producing major parts of CNG station equipments with the co-operation of foreign companies. Conversion workshops: More than 107 conversion centers have been equipped and certified in 37 cities countrywide. Local car manufacturers that produce CNG vehicles have equipped their existing after sale services network to service NGV products and related regular inspection. Identity information and specifications of NGV’s are being entered in audit software for tracking periodic audit and inspections. Training: Personnel of conversion workshops, inspection centers, after sale services and CNG stations, inspectors, operators and all technical staffs who work directly with CNG, have passed related training courses and have been certified for particular activities. The general public have also been informed on safety issues through many reports, presentations and demonstrations about CNG and NGVs. Long Term Program: In approving the nation’s budget for the current year, Parliament gave special attention to the CNG industry and approved considerable subsidies for production of 280,000 OEM NGV’s by Iranian major car manufacturers and the conversion of 120,000 cars to CNG by available conversion workshops. 1. 20% of OEM CNG fueled vehicles are produced annually by Iran’s two biggest car manufacturers (Iran Khodro & SAIPA). 2. Conversion of 600,000 public and governmental cars to NGV. 3. 667,000 OEM CNG based vehicles and contributing a new production line of 410,000 OEM annual capacity at Iran Khodro. 4. Contributing to produce 6,000 OEM CNG based buses in 5 years. The first activities to use Natural Gas in transportation in Iran have been started since 30 years ago. At first LNG was chosen as an alternative fuel but because of impact of LNG providing, the government could not continue this program. In the recent years, economic and environmental problems, which were caused by gasoline and diesel vehicles, have made the government to seek for a green and more economic fuel. Technical researches show that CNG is the best option for Iran. This paper describes Iran NGV roadmap from economic, environmental and technical points of view. Evaluation of natural gas reservoirs of Iran shows that 16 percent of the total amount of natural gas reservoirs of the world, exist in Iran . This means that 26.6 trillion cubic meters (over 900 trillion cubic feet) of natural gas are discovered which makes Iran the second ranked country in the world, having great natural gas reservoirs. But the amount of extraction and production of NG is not proportional to reservoirs content. With extraction of 55.6 million cubic meters of NG at 2000, Iran has the 11th place in the NG producer ranking . Considering the ratio of extraction rate by the amount of reservoirs, which is 0.02 percent, Iran has a good potential for natural gas development. It has been considered to increase the amount of NG production in the coming years. So the government has invested widely in developing natural gas discovering, extraction, production and distribution. Fuel consumption of vehicles in Iran is so much in comparison with other countries. 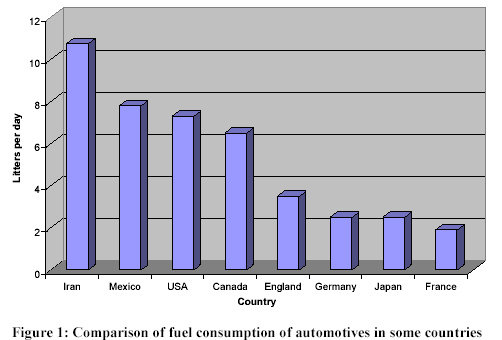 Figure 1 shows the average fuel consumption per day of the vehicles in some countries . This is the most important point that makes the government to substitute an alternative fuel by gasoline and gasoil. In the year 2004, fuel consumption of transportation equaled to 56 million litters of gasoline per day. The government has to import 34 percent of this amount of gasoline from other countries which are competitors of Iran in oil industry. Also the government paid 3.1 billion USD for fuel subsides in this year. 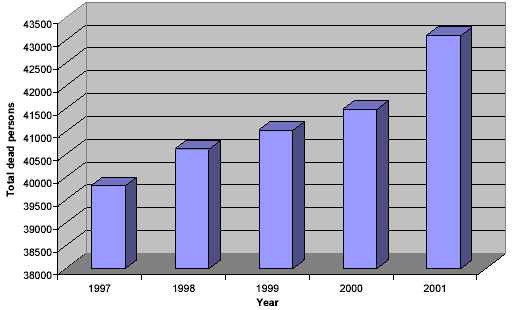 Figure 2 shows amount of gasoline production and consumption in transportation . 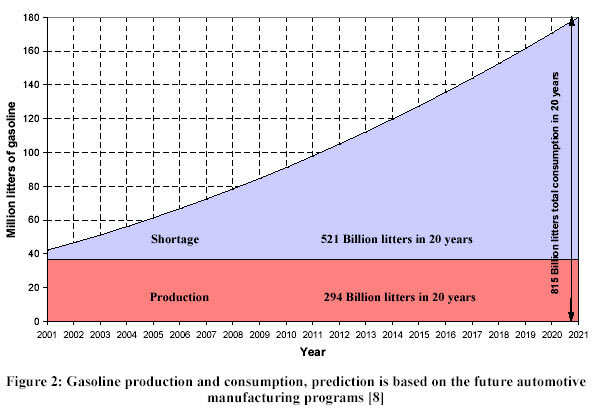 Prediction shows that in the period of 20 years (2001-2021) total shortage of gasoline would be equal to 521 billion litters. So considering the huge contents of NG reservoirs and also low price of NG fuel in Iran (3 cents per cubic meter), natural gas is chosen as a suitable alternative fuel. Although the specific fuel consumption of NG engines is less than similar gasoline engines, if we consider them to be equal, economic advantages of using natural gas instead of gasoline would be about 4.5 Billion USD in the year of 2004. Table 1 shows economic evaluation of converting different kinds of vehicles to NGV [5,6]. In addition, more than 2.5 million gasoline and diesel on-road vehicles in Iran have been produced based on old technology. So it is necessary to substitute these inefficient cars with new ones. Government can achieve three goals by using NGV technology. First it can decrease fuel consumption. Second it can replace the old vehicles by the new ones. Third it can save a huge amount of economic resources by decreasing gasoline imports. Because of geographical dispersion of cities in Iran, construction of natural gas infrastructures (including extraction, refinement, transfer and distribution) requires large amount of investment. So the government has not chosen natural gas as a main fuel, but as an alternative fuel. Because of environmental considerations NG is known as a green fuel in Iran. Generally natural gas fuel produces less emission than gasoline and gasoil. 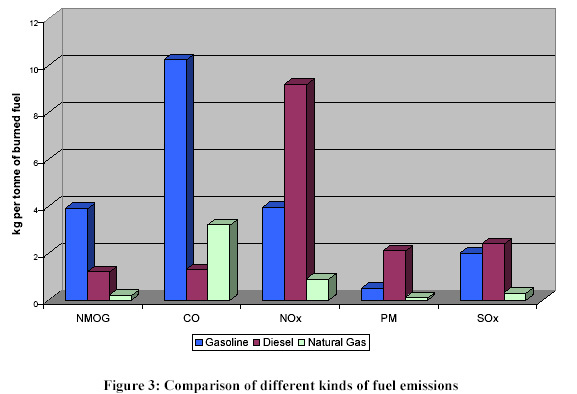 Figure 3 shows the amount of emission of different burned fuels. As can be seen most of the pollutants, especially SOX and CO, decrease by using natural gas. Most of the big cities in Iran (like Tehran, Isfahan, Mashhad and Shiraz) are suffering from air pollution and this has caused a lot of economic and human damages. 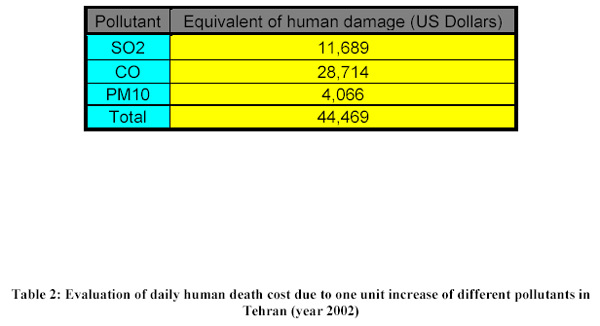 Table 2 shows the human damages cost in Tehran and Figure 4 shows statistics of deaths in Tehran due to air pollution  Using NG could decrease these damages by decreasing the pollutants, especially PM10, CO and SOX pollutants. The emission of diesel engines of public transportation fleet is so much due to old technology. Also produced diesel fuel contains so much sulfur which causes SOX emission and corrosion problems in engine. So by using NG in public transportation many advantages are achieved. In order to insure the progress of using of natural gas as an alternative fuel, the government has established an organization named IFCO (Iranian Fuel Conservation Organization). IFCO is responsible for programming and managing the progress of using natural gas in transportation. Also the Department of Environment, that plays supervisory role in natural gas executive programs, is one of the key role players in this progress. The main role of IFCO is to balance between cost, conservation and environmental considerations in the progress of substitution of natural gas. IFCO has provided “NGV Master Plan for Iran” which contains all steps and details of NGV promotion program in Iran. 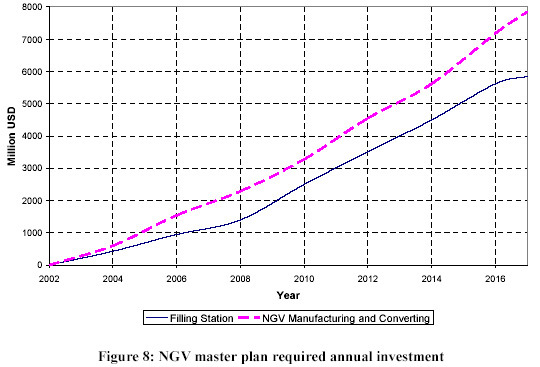 NGV master plan for Iran has six main subjects: 1- Feasibility study 2- Conversion Policy 3- Macro and micro economical evaluation for a large NGV conversion program 4- The method of investing for earning investments 5- Conceptual design of filling station and vehicle systems 6- Basic and detail design of filling stations Overall conversion policy including 3 phase: introduction, development and mature phase. Executive policy for using natural gas instead of gasoline and gasoil is based on four axis: • Manufacturing of heavy and light duty NGVs • Converting gasoline and diesel engines to natural gas engines • Providing CNG for manufactured and converted NGVs • Supporting NGV customers Natural gas promotion program is based on using Compressed Natural Gas (CNG). This program would not seriously include other forms of natural gas fuels (like LNG and LPG), because of technological and economic reasons. The followings describe main points of natural gas substitution program. Number of CNG stations in Iran does not satisfy number of NGVs. So it is very important to convert them as bi-fuel engines, which can use both gasoline and CNG fuels. As a result, one of the important parts of natural gas substitution program is installing gas kit on gasoline vehicles. The development of bi-fuel technology depends on working and researching in the field of CNG tanks, natural gas ECUs, catalyst converters and gas injectors. In the field of public transportation fleet, the manufacturers have produced CNG buses and these buses have been successfully in service in recent years. Dual fuel engines are the second choice instead of diesel engines. As an example OM355 engine (which is the diesel engine of so many buses in Iran) was converted to dual fuel engine and tested successfully. Converting gasoline engine of taxies to Bi-fuel engines is another phase of public transportation fleet project. There are some reasons that prevent to develop natural gas dedicated engines technology in Iran. One of them is the economic and technological impossibilities to manufacture a huge amount of natural gas dedicated engines in a short term program. The other one is lack of fuel stations, especially in highways. So the process of producing NG dedicated engines is not a primary solution. Some powertrain research and development centers in Iran, like IPCO (Irankhodro Powertrain Co.), have projects to design and produce dedicated natural gas engines. But Results of these programs would be used in the future. Manufacturing programs to produce NGVs It has been planed to produce CNG vehicles in car manufacturing companies. IKCO (Irankhodro Company) and SAIPA which are the main car manufacturers in the country, are working on some projects to produce NGVs. Also in order to provide CNG buses for public transportation, Irankhodro Diesel Company (the main bus manufacturer in Iran), is producing CNG buses. Figure 6 shows the capacity of OEMs to produce new CNG vehicles in the coming years . According to the NGV master plan, by the year of 2020, 46 to 70 percent of the total vehicles in Iran must be NGVs and 2950 to 4500 fuel stations must have been constructed. Followings are the abstract of the activities which are done in order to ensure the achievement of these goals. Conversion of gasoline and diesel engines to NGVs is the most important part of natural gas substitution program. 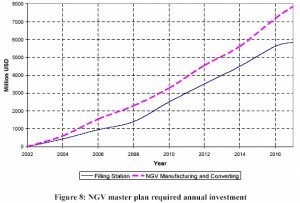 In NGV master plan for Iran, it has been planed to have 650 thousand NGVs. Half of these NGVs would be converted and other half would be produced. The conversion is done in conversion workshops. These workshops are constructed by the cooperation of government and private section. There are three categories of conversion workshops. The first one is specially for converting diesel engines. The second one is for mini-buses and in the third one, cars and vans are converted. Table 3 shows the number of converted different types of vehicles up to May 2005 . It’s very important to substitute public transportation fleet vehicles by NGVs in a short time, because of environmental advantages of using CNG in these vehicles. So it has been planned to construct special conversion workshops for these vehicles. Also specific fuel stations are being constructed to improve the fueling of public transportation fleet NGVs. Table 4 shows the number of taxies, buses and mini-buses which must be converted in Tehran up to year 2006. 66 percent of the total converted cars in public transportation fleet are taxies. These taxies are converted to bi-fuel. 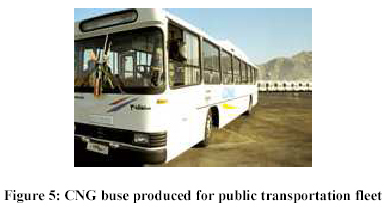 33 percent are buses and minibuses which are converted to CNG engines. The first phase of NGV master plan is based on constructing 480 CNG fuel stations in Iran. It means one fuel station for every 1600 NGVs. 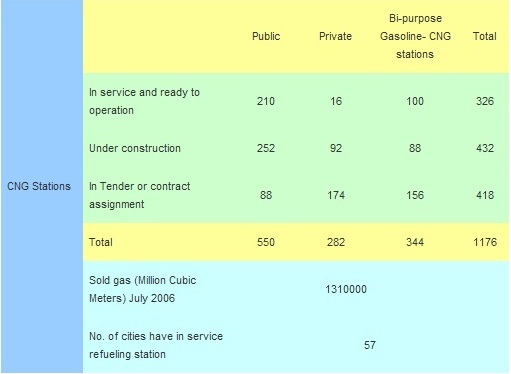 Figure 7 shows the considered number of stations needed in CNG program . Construction of fuel stations is also done by the cooperation of government and private sections. Table 5 shows economic costs evaluation of constructing CNG fuel stations. The government is supporting the private section in order to improve the capacity of this section in NGV technology. Followings are some examples of these supports: • The conversion workshops, in which vehicles are converted to NGVs, are constructed by the cooperation of government and private section. • The government supports the private section to construct fuel stations. • R&D organizations which work in the field of fuel tanks, stations and NGV technology are supported . As the changes occurred in the environment are related to human’s behavior, so it plays an outstanding role in energy consumption and environment saving programs. That leads the government to pay a great attention to public educations, as well aseconomical and technical aspects and apply the foreseen budget changes in the third development program. IFCO, with the help of National Iranian Oil Company (NIOC) has made vast propagandistic activities in order to conduct public attentions to fuel conservation and specially replacing natural gas, as a green alternative fuel, with other kinds of fuel. These activities include all means of mass media; carrying on related gatherings and seminars especially annually conferences on “Clean Air Day”. There are some examples of these programs: • First Energy Consumption Optimization forum in vehicle industry, October 2004 • First forum of alternative fuel (CNG) and natural gas vehicles (NGV), May 2004 • International Environment exhibition of Tehran, July 2004 • CNG exhibition, February 2005 • 8th International exhibition of Oil, Gas & Petrochemical Industries (IOGPE), Specified in Gaseous conversions • International vehicle exhibition of Tabriz • Second International forum of Internal Combustion Engines, January 2002 IFCO has also made a specified section for children in different ages which make them able to play games or puzzles and read subjects which educates them proper energy consumption from early ages. There has been a need for supervisory organization, which is independent from other organization of government, to guarantee the quality and quantity of the performance of government plans. Department of Environment in Iran is responsible for this important task. In addition, Department of Environment must specify and declare necessary pollution limits and standards, in order to control the air pollution. By means of this power, Department of Environment is the policy maker of air pollution control in Iran and could enforce the manufacturers to produce NGV and impel the consumers to use CNG vehicles. This organization is the supervisor of vehicle converting and substituting programs. Generally research and development activities in Iran are too weak and university researches could not properly be transferred to the industry. In the recent years, researches on NGV materials extensively increased both in universities and industries R&D section. University researches mainly focused on : • Dual fuel natural gas engines • Bi-fuel NGV • Gas injection simulation and analyses • CNG tank • Technical, Economical and environmental assessment of NGVs production In the industrial filed, IPCO (Irankhodro Powertrain Co.) is the leadership of research and development in the filed of internal combustion engines so various projects related to NGV are run there, like design and manufacturing of dedicated natural gas engine and design and production of ECU for bi-fuel engines. Some car manufacturers recently established a center to do research and development on NGV especially on NG engines. Comprehensive NGV promotion programs, as mentioned, require huge investments. 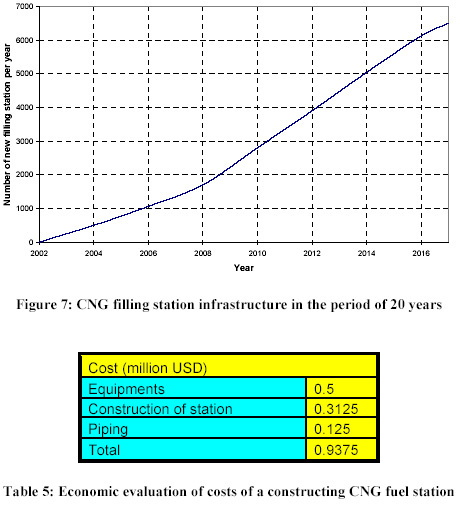 The more important fields that investments were focused are: • Extraction and distribution facilities • Fuel infrastructure and CNG fuel station including NG compressor, piping and sealing, fueling facilities and measurement and controlling devices • New NGV producing by OEMs • Converting equipments like gas kits and CNG tanks’ Figure 8 shows required annual investment for NGVs manufacturing and converting and CNG filling station in the period of 20 years. 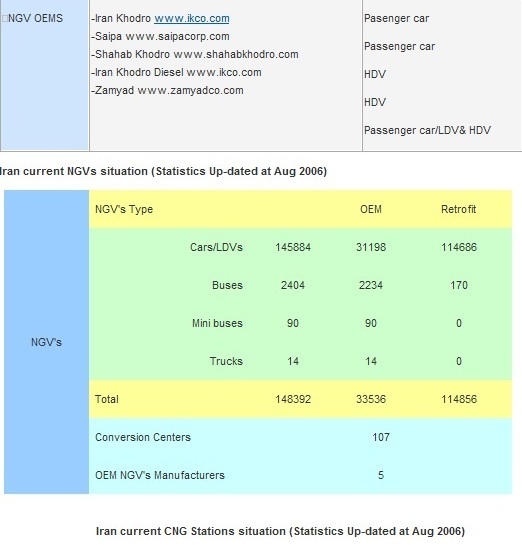 Based on presented data, Iran could be a great market for NGVs related materials. Although the most required equipments were imported from other countries (especially Italy, Germany, Denmark and Canada), some of these are planned to be manufactured in Iran under the license of original manufacturer. For example production line of some fueling facilities would be utilization by the help of a foreign partner in the near future. Based on information from IFCO contracts have already been signed for a ramp start of phase 1 of NGV master plan, indicating a total number of NGVs in the first fiveyear period of 1 million OEMs and 900,000 conversions. This will imply some 2,000 filling stations in five years . This tremendous build-up cannot be done with Iranian products due to lack of domestic production of the required equipment. Hence, the rapid increase of the NGV business in Iran will create a huge demand of equipment in the world market. Worldwide production capacity should also be considered. Long-term agreements with major suppliers will be required [16,17].